You are visiting the Web-site "Socionauki" devoted to the academic journals and publications of PH "Uchitel"
Every century gets its own name in the history, sometimes even more then one. Only the future will show which title will be finally assigned to the 21st century. But we, the contemporaries of its beginning, think that these are just the process of globalization and its possible consequences that will become central for the present century. 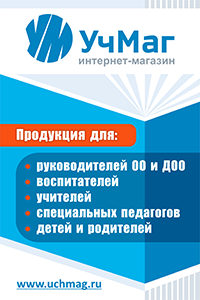 Among the wide range of periodicals in Russia there is no specialized journal yet for the already established sphere of academic research – the global studies – which on the interdisciplinary basis would raise questions and suggest solutions of urgent problems of the present day world: starting fr om ecology, resources and demography up to the legal and geopolitical aspects of international relations. The emergence of a new scientific journal should be regarded as a response to this long-standing necessity for a solid theoretic discussion and popular science treatment of the process of globalization and global problems of the modern times. – futurological aspects of global studies, etc. The present edition is a special brief English version of the Russian journal «Век глобализации». In the first and second sections there are complete articles and in the subsequent section you can find abstracts and annotations of the rest papers of the Russian-language original.